Olusegun Osoba, former governor of Ogun state, says those calling the TraderMoni initiative of the Buhari administration vote buying are fools. TraderMoni was launched under the Government Enterprise and Empowerment Programme (GEEP). Under the scheme, petty traders are given N10,000 each to boost their businesses. Critics, especially members of the Peoples Democratic Party (PDP), have alleged that the government is using it as an avenue to woo voters ahead of the elections. 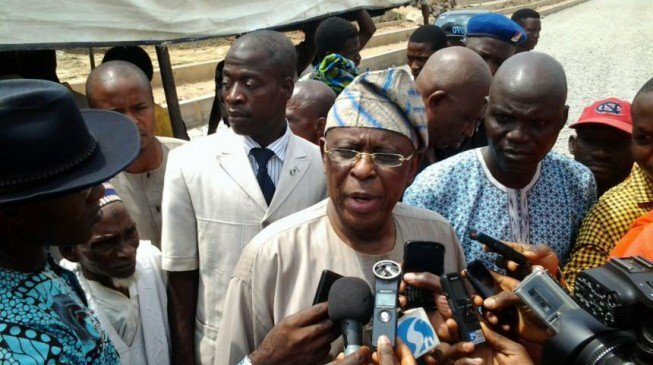 But speaking at the presentation of “Nigeria on Firmer Ground Towards Lasting Peace and Progress”, a book put together by the presidential media team, Osoba said calling a “revolving loan” given to the market women to aid their petty trading, vote buying was nothing but foolery. Vice-President Yemi Osinbajo, who is coordinating the project, has told its critics that TraderMoni is an offshoot and an extension of Buhari’s earlier project under the Katsina foundation, where petty traders were empowered with N2,000 to boost their businesses.